However, then came the credits, which are done in a blend of 80s neon paste-up stripes and ransom-note-style cut text, layered with Ben-day dots and really old images of Superman. I’m talking 1940s Fleischer cartoons and Curt Swan drawings. It’s as though someone tried to mash up punk band flyers with bright kiddie-safe colors. Weirdly jarring, especially coming after the Ellisian Black, but a good sign that this movie would not be as predictable as I feared it could be. Superman vs. the Elite was written by Joe Kelly based on his story published as “What’s So Funny About Truth, Justice and the American Way?” in Action Comics #775. The comic is available in the Justice League Elite collection, art by Doug Mahnke with Lee Bermejo. After the credits, an opening TV cartoon clip really brings home how stodgy Superman is perceived as a character, with an obvious “crime doesn’t pay” message and caricatures of old-fashioned bank robbers. For many people, he is stuck in the 50s, in the Adventures of Superman TV show, and making him relevant is a daunting (but worthwhile) task that I wish more creators would tackle. 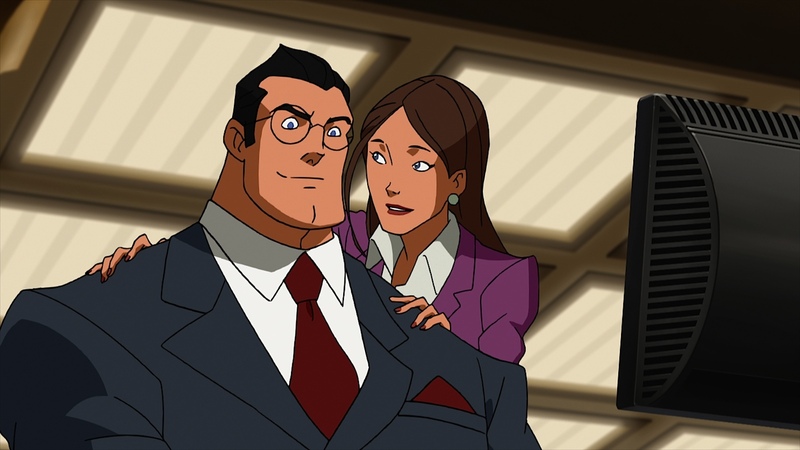 By having Clark and Lois watch this TV show proposal within the story, Kelly brings the problem to the forefront without being too heavy-handed. It’s not all that accomplished. I don’t really buy that the UN would hold a hearing asking Superman why he didn’t kill a supervillain. It seems a bit direct; I would expect that discussion to happen in the media, not on the political stage. But it foreshadows what’s going to happen as Superman first befriends the Elite and then comes to disagreement with them over their methods. Since I fondly remember Warren Ellis revitalizing Stormwatch and turning them into The Authority, the Elite (based on the latter) make me laugh, even when they’re trying to be all scary and serious. How can you not giggle at a team with a drunk mystic who dresses like a ska skateboarder? Or a leader who says, “Pam, I’m handing out ultimatums, please keep it in your pants”? Then they start killing terrorists — a timely threat, one with lots of hot buttons — and it all turns very serious. 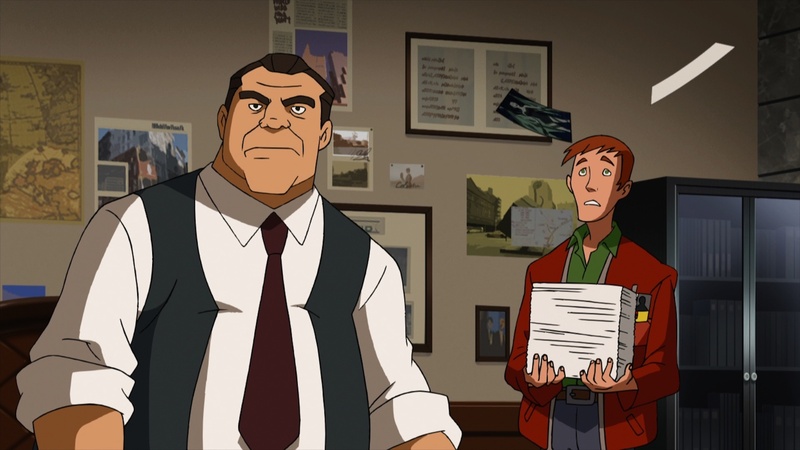 There are a lot of meta comments and allusions for the older reader, from the Jay Ward-looking “Superman Adventure” cartoon show using the Super Friends scene change sound effect to seeing editor Perry White fussing at a young Jimmy Olsen (both of whom I’ve missed seeing). Kelly clearly appreciates all the aspects of Superman’s life, even including a scene at the Fortress of Solitude, staffed by working super-robots, and sending Clark home to get advice from his dad. 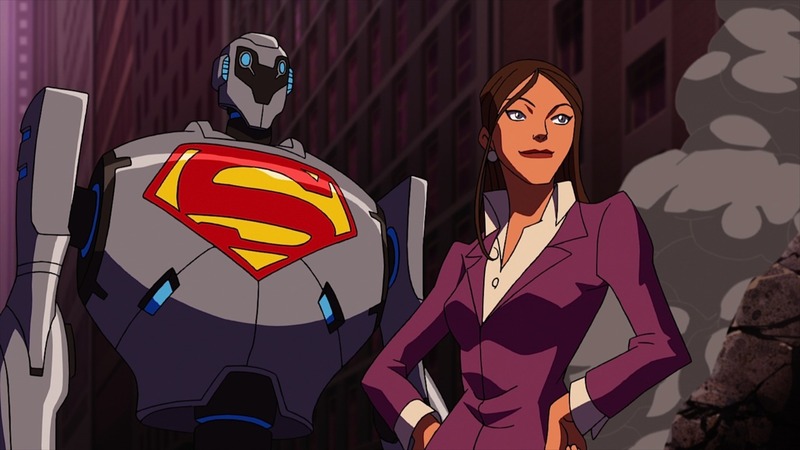 George Newbern, as Superman and Clark Kent, and Pauley Perrette, as Lois, do an excellent job, sounding just like they should. Newbern reminds me of Tim Daly’s readings, which I appreciated, since he’s the classic modern voice for me. As for Lois, I particularly like the hint of roughness in her voice, making it clear this is an accomplished woman who knows what she wants and is a worthy partner for him. She also wisecracks a lot. I also loved that they’re a couple, and she knows all of his identities. I miss that. I wish we had a lot more of them together conversing and flirting. If I were writing this movie (ha! 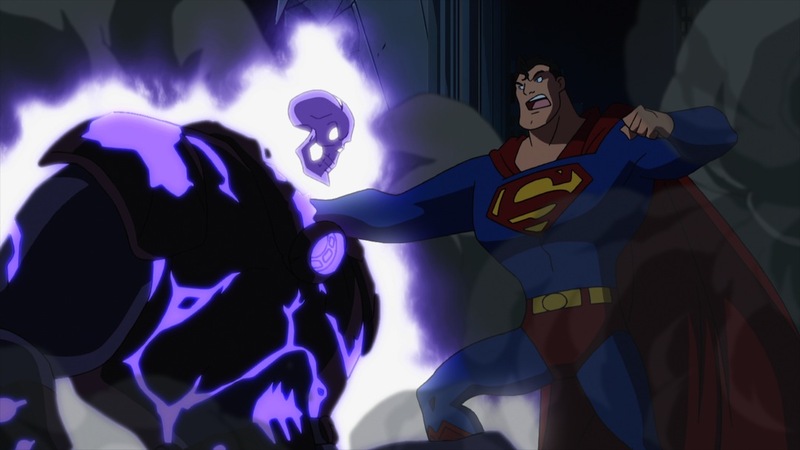 ), we’d have more of that and less of the required action, like the opening fight with the Atomic Skull. That’s not why I watch the cartoons — but I’m know that I’m weird that way. Most of the audience for superhero animation wants to see the superpowers, not the relationships. Still, my favorite part was seeing them together at the office. I like seeing the full scope of their life together, and it reminded me of how much I enjoyed Lois & Clark. Speaking of animation, the movie looked better on my TV screen than these promo clips made me think it would. 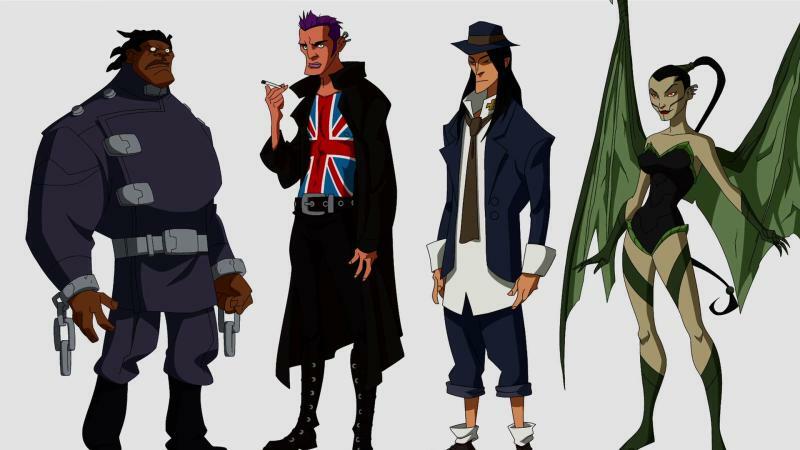 The character design is the weakest part of the movie, with simplified figures who can appear flat, but the overall impression once you add in the backgrounds, movement, and special effects was strong and successful. 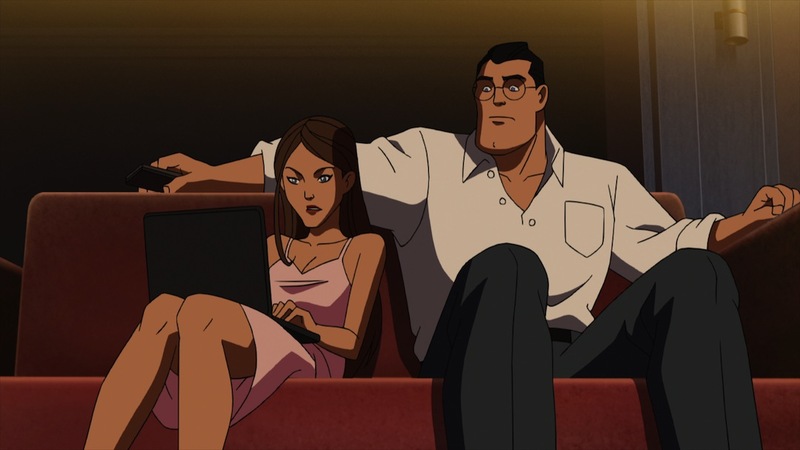 Lois and Clark look like people hanging out together when they’re sitting on their couch watching the news or discussing current events. His shoulders are still square and she’s still curvy, but it’s a pleasure to see them look possible instead of like geometric shapes glued together, as some of the more exaggerated designs had it. I went into Superman vs. the Elite fearing that it would depress me and make me feel left out of the audience (since what I want to watch isn’t what they want to sell me). 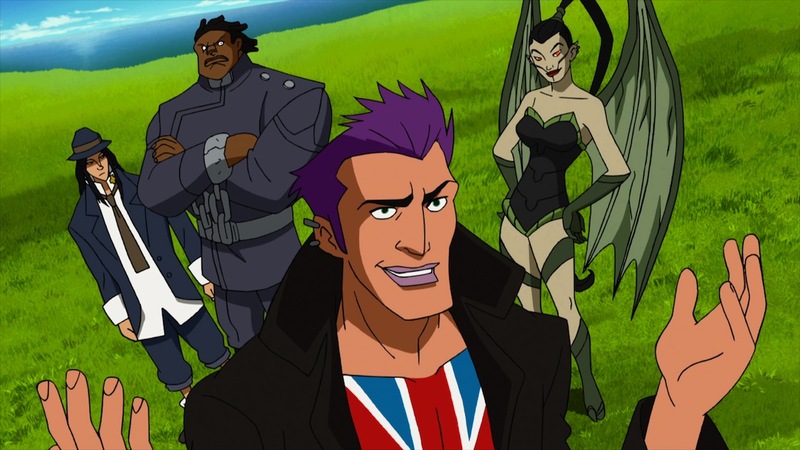 I came out thinking that this was the best of the original DC animated movies for providing both updated nostalgia and serious themes livened with comedy. This is a story that shows what can be done with Superman to keep him relevant today. By reflecting all the various aspects of his entire life, it’s Superman the way he’s supposed to be. He should be a father figure, someone who does the right thing and inspires us to do so as well. The whole point is that he’s better than us. I do wish that more emphasis had been placed on how wrong the people were who supported the idea of killing the bad guys without trial, confident in a misplaced certainty. I suppose that might become too political or uncomfortable for the viewers. It’s not just an argument between the superpowered, though, but a loss of the idea of aiming for a better way, even if it hurts and is harder to achieve. The question is really “who do we want making the rules for us?” when we should be making our own rules, but that’s way too hard for us to live up to. Instead, we want to be told what to do, and if that’s the case, we need more role models like Superman, willing to sacrifice to do the right thing, not the expedient or popular one. Ultimately, since this is a cartoon movie, while Black spouts off on the media a lot, this philosophical debate does boil down to characters slugging each other on the moon. Since the argument is that we wouldn’t want to live in a world where might makes right, since we’re all cowards and hypocrites when the violence turns against us, it’s a mixed message. Especially since Superman has to beat up the bad guys to make them see that violence isn’t the solution. (Such is the innate contradiction of the character.) Here, Superman scares us into seeing the right thing to do, which isn’t the most elegant or advanced answer. A deep reading of the movie emphasizes our childlike moral status. We aren’t willing to deny ourselves in order to reach an ethical outcome. I previously posted the trailer with a list of the Blu-ray disc’s special features, which I will elaborate on here. The creative team audio commentary turns out to be Joe Kelly and Eddie Berganza, editor on the original story. “The Elite Unbound: No Rules, No Mercy” runs 14 minutes, featuring Joe Kelly talking about the creation of the team and characters. I don’t have much to say about it, but I found it interesting, especially in hearing Kelly’s inspirations and influences. Plus, it adds more depth to the team characters who don’t get much background in the film itself. “Superman and the Moral Debate” is 17 1/2 minutes of talking heads — writer Joe Kelly, exec Mike Carlin, Jaye Razor (credited as actor and military drill instructor), Gregory McNeal (law professor), and Miguel Unzueta (social psychologist) — debating justice in our world and perceptions of our legal system. (Apparently no women have opinions on Superman and societal fairness.) McNeal at one point uses the phrase “courageous restraint”, which I really liked. The core debate is whether Superman’s value system is relevant in a post-9/11 world. The sneak peeks at All-Star Superman and Superman/Batman: Public Enemies are similar, but for the previously released movies. As expected, the promised digital comic copy of Action Comics #775 turns out to be a few pages with a link to DC’s webstore. The Dark Knight Rises photo gallery is just over a dozen images already released.